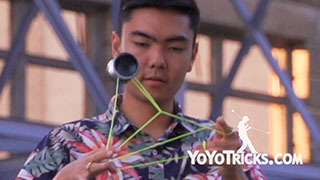 This trick can be broken down into two parts, each of which is its own repeater. The first part looks like this, and the second part looks like this. As you will see, each element is relatively simple, but it is difficult to get the flow right and make the trick look good. To start this trick off, to start the first part, you are going to throw a Trapeze. Then you are going to cross your throwhand over your non throwhand. Make sure that the string presses against your non throwhand index finger. 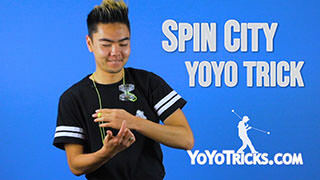 Then you are going to swing the yoyo towards your non throw side of your body, and over your throwhand index finger, making sure to go in front of the strings and not hit any of the strings. 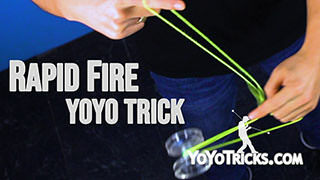 Also, you want to make sure that the yoyo does not reject when you do this element. 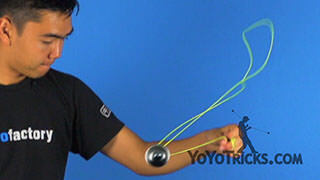 From this position, then you are going to remove your index finger of your throwhand and the yoyo should drop. Then you are going to uncross your arms. Notice you are in a trapeze with a twist at the bottom of it. 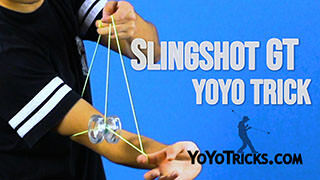 From here you are going to swing the yoyo towards your throw side of your body and over again your throwhand index finger. You are going going to curl your index finger in a little bit. Then you are going to drop your index finger and you are back into your original trapeze position. That is the first half of the trick. 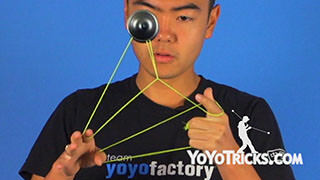 The second part of this trick continuing from the first step, you are going to do the pinky finger grab as taught in the 1.5 Mount video. 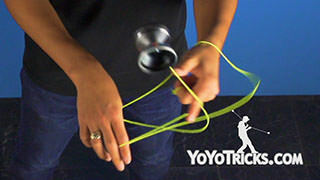 Then you are going to swing the yoyo over your throwhand index finger. You are going to put it onto the front string, mounting it and letting go of your non throwhand. Then you are going to take your non throwhand index finger and place it behind all of the strings from the throwhand side. 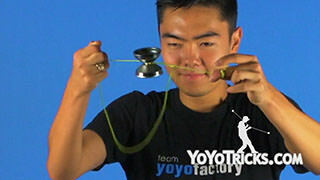 You are going to pull up the yoyo in front of the strings, making sure to avoid hitting any of the strings. 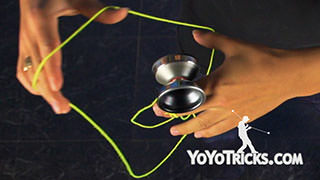 As the yoyo goes to its peak, and you pull it down, you are going to want to place your non throwhand index finger behind the strings again from the top, and pull down on the yoyo. That will bring it back to the initial position. 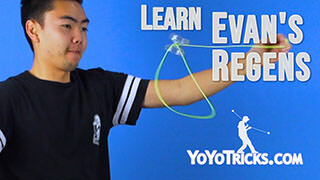 If you are having trouble with grabbing the string fast enough on the way down, check out our video on Redirects for some tips on how to get more hangtime as the yoyo is changing direction. Now you are going to pluck the back string. Come off the 1.5, and land back onto Trapeze. From here you can start the first half of the repeater again. 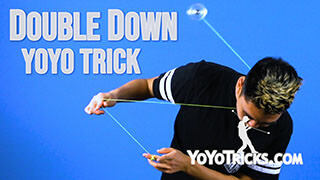 As you can tell, each element in this trick is very simple, but to master it, it takes a bit of practice. So what I would recommend is just start off doing the elements very slowly, and eventually with practice, you can start to work up to getting the trick to speed, and getting the trick to flow right. 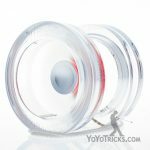 So if you are having trouble, some things to keep in mind are, when you are doing the first part of the repeater, you want to make sure that you non throwhand is slightly behind your throwhand when you are swinging the yoyo over your finger. That will keep it from hitting any of the strings. Also true on the second half, except for this time, you are going to make sure that your throwhand is slightly behind your non throwhand for the same reason. 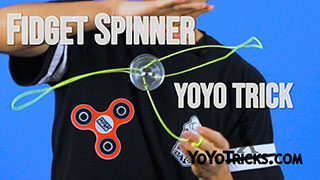 Also, after you do the first part of the second repeater, you want to make sure that the way that you are pulling down on the yoyo is coming from the same direction that you sent it up. That way, it does not twist up like this. If this happens though, you can swing it from the outside over your non throwhand finger, and you will end up back into the same position. 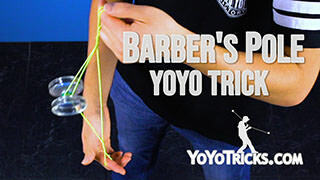 Once you get this trick down, you can try adding it into combos, such as Skin the Gerbil. Right in the middle of Skin the Gerbil you can just go directly into it. Experiment with it, have fun, and that was Rapid Fire Repeater. This is an awareness test. 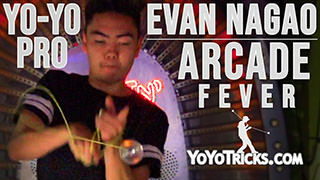 How many unique string hits do I perform when I do this trick? The correct answer was three. But, did you see the Moonwalking Chunn? [YES] Oh, you did? Uh, this is awkward.